Earlier in April 2014, I participated in the A to Z blogging challenge. This challenge involved blogging every day in April (with the exception of Sundays) on themes that started with the alphabets A to Z. One of the recommendations of the challenge was that you also visited blogs of others who were participating in the challenge. 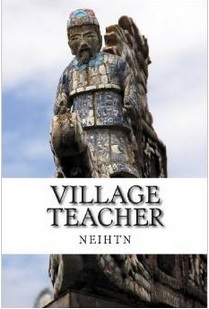 This is how I came across a blog describing the book “Village Teacher“. The author Nguyen Hien very graciously offered me a copy of the book to read but circumstances prevented me from reading the book immediately and it was only very recently that I finally managed to read this book. It does sound like a great book! I hope you will decide to read it! Let me know (neihtn@yahoo.com) when you have an address.